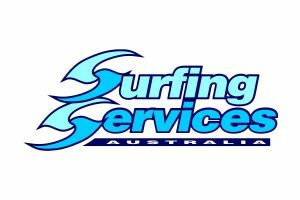 Kids from all around Australia are now able to take participate in what is undoubtedly the most exhilarating junior participation program ever designed for our sport, with levels 1,2,3,4 and 5 all Endorsed by The Australian Sports Commission your child will learn all the basics of surfing and ocean awareness and have lots of fun too! In term three we have lessons before and after school, giving everyone the chance to give it a go! 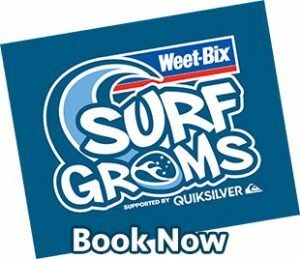 While attending the eight-week program the frothing grommets will be learning all the necessary ocean safety for anyone who lives near the beach. 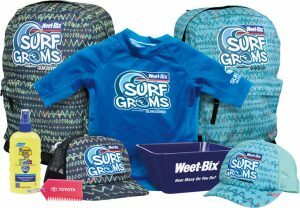 Every child signing up will receive a great Quiksilver or Roxy backpack bursting with surfing merchandise including a rash-vest, sun-hat, Weet-Bix plastic bowl, Toyota wax comb, Nikon camera offer and Banana Boat Kids SPF 50+ 240mL finger spray and magnet. 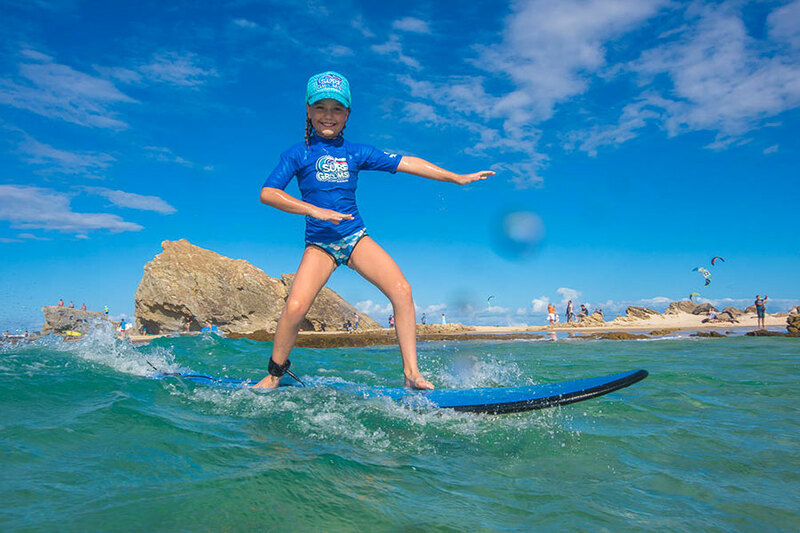 My 9 year old daughter wants to learn how to surf. Could you let me know how much and when in the warmer months you do the lessons. Thank you.